Outdated figure 8 harnesses rely on point specific loading around the sound-side axilla for suspension and control. Instead of just adding padding to this sensitive area, our revolutionary Vest Harness spreads the loads over a broad surface area, giving a level of comfort and suspension never before offered in upper extremity prosthetics. A harness as comfortable as your favorite t-shirt. By spreading the loads 360º around the body, we’ve eliminated axilla point specific loading. Your welcome. Remain in control of your device. 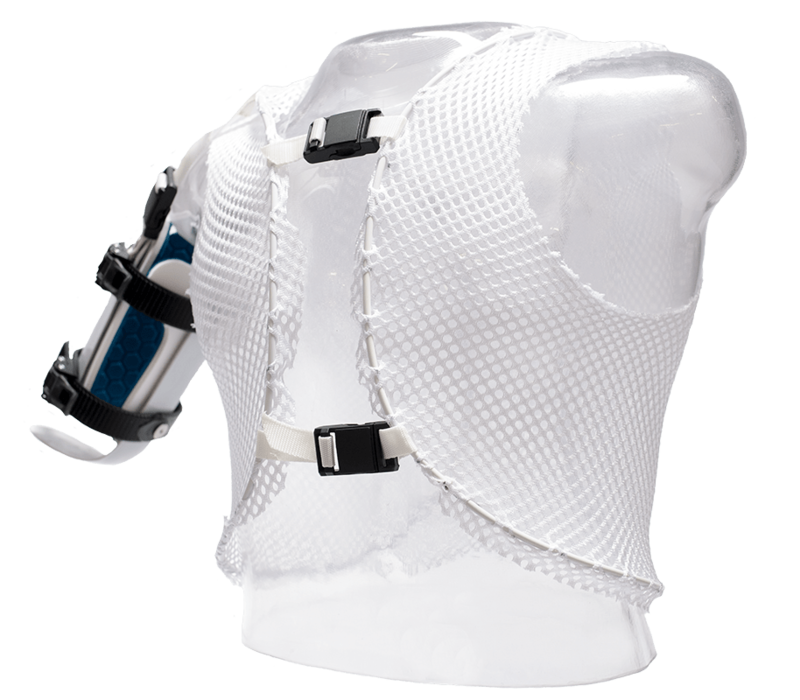 The Vest Harness offers greater terminal device precision control in all positions, and provides suspension and stability never before offered in upper extremity prosthetics.